Here we have collected the most frequently asked questions for you. If you can't find what you're looking for here please drop us a line at peter@lauramccusker.com or give us a call on 0401 400 634. How long is a piece of string? - Prices vary depending on timber type, complexity of the design, finish and of course size. As you can see from the images below, we've made all sorts. Most people are surprised at how competitive our prices are, but we have no retail markup and no showroom overheads - so you get a great deal. We can work to your budget - You tell us what you have to spend and we can tell you what we can do. Rules of thumb - Fitted cabinets can start from around $1000 a lineal metre, but remember that doors, drawers and material selection has a huge bearing on cost. Talk to us. Dining tables? 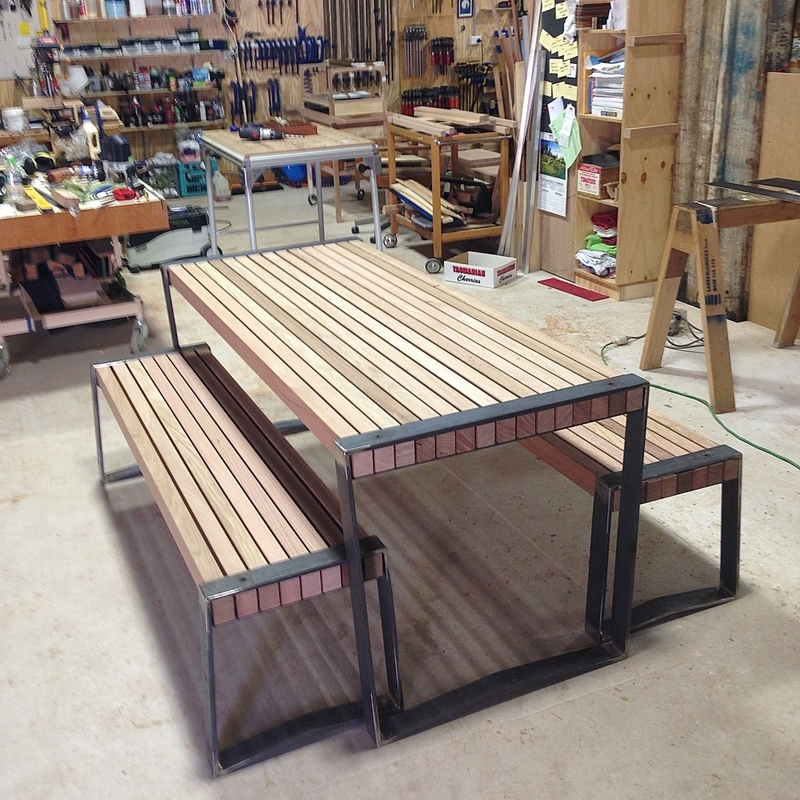 - We've made solid timber dining tables from as little as $1250 (seats 4-6). Typically our tables range between $4500 to $9000, but again this depends on things like size, timber selection and design. rWant an interest free loan? The COLLECT Art Purchase Scheme offers Australian residents twelve month, interest-free loans to purchase artworks by selected contemporary Tasmanian artists - like us! We're very proud to be part of this fantastic scheme, and you can find out everything you need to know about it here. Tricky one to answer but the rule of thumb on this one is 4-6 weeks as a starting point. Of course there are occasions when we can work to a tighter timeframe and others when we may need longer. The real beauty of dealing direct with the designer and makers of the piece, or pieces, is that everything is open to negotiation! Of course! Where do you want it to go? For our interstate and international shipments we use Grace Removals. Rates are very competitive and because when buying direct from us there is no retail mark-up, even with freight charges included, you will still be ahead. Bonus! Anything local we will generally deliver ourselves, taking that level of personal service as far as it possibly can go. Do you take work experience? No, unfortunately we're not in a position to take work experience students. Our work schedule is highly unpredictable and our insurance just doesn't cover it. How do you get trained up as a furniture maker? Initially I started an apprenticeship through Lidcombe TAFE (NSW), then I completed a Post Trade Certificate (IV) in Fine Woodwork at The Sturt School for Wood in Mittagong, just outside Sydney. If you're in or near Brisbane check out The Brisbane School of Fine Woodwork, Roy will look after you. Check your local Adult Education organisations, TAFE and University for available courses. There are often woodworking guilds and associations who are great sources of info and support. Magazines like Australian Wood Review and Fine Woodworking often have advertisements from training providers in them. The best training is on the job - I've learnt so much out there in industry, from the shipyards to kitchens and everything in-between. Working part time in industry is better for your skill development than working part time in an office, retail or hospitality. Exhibit regularly - group shows are a great experience, try to be in one at least once a year. Be humble - don't be afraid to ask for advice and for other people's help.